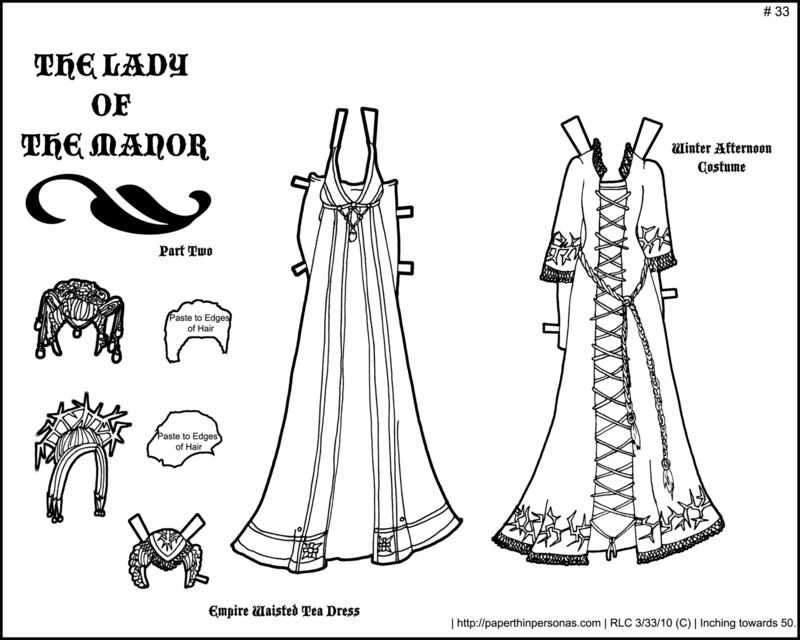 I almost didn’t post this paper doll dress for the Lady of the Manor. I felt like I had left her alone for so long that I wasn’t sure it was worth finishing her, but then I felt like I had this last dress and it was scanned, so I might as well post it anyway. I might have more to write about it in the morning, but I am very tired tonight, so I think I’ll crawl into bed. Enjoy the ballgown. So, since someone is threatening to color this paper doll series, I figured I better finish posting it. There’s another paper doll outfit, maybe two, after this. 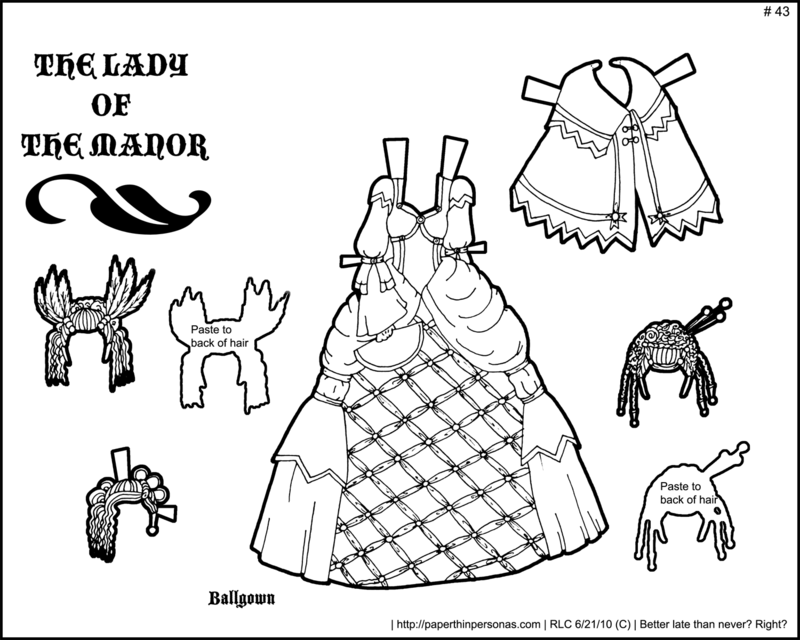 It depends if the paper doll dress I don’t like becomes one I do like. I think I’ll keep not liking it, but I might surprise myself. It’s Mother’s Day here in the states. I called my mom, of course, but spent the day doing homework at the library. I miss being at home with family for the holiday. Last year, I had a ball taking my mom around Juneau, picking up dirt for the garden and helping her cook dinner. It was a blast. So, being far from home, I miss family more and more. I don’t usually think about what sort of stories surround my paper dolls. I rarely draw a paper doll and then think… Hmm… she’s a nice girl with a love of beets who has a long lost sister whose actually a hired gun for the mafia. These just aren’t really the way I work. I know people who do think this way about their work, but I am not one of them. 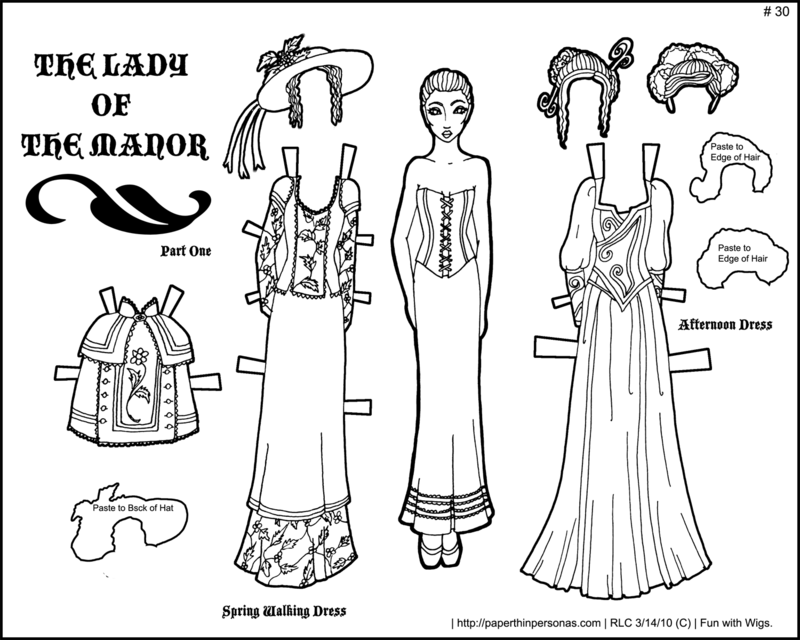 Except some paper dolls seem like they should have back stories, and the lady is one of them. She is not a princess. She is the lady of the manor. What are her days full of? Is she happy? Is she sad? Is she scheming to poison her husband and run off with a knight? I kinda want a soap opera complex back-story where people have multiple personalities and long lost time traveling children. Hmmm… I think if there was a paper doll with time traveling children and amnesia and evil twin sisters, I would read it religiously. 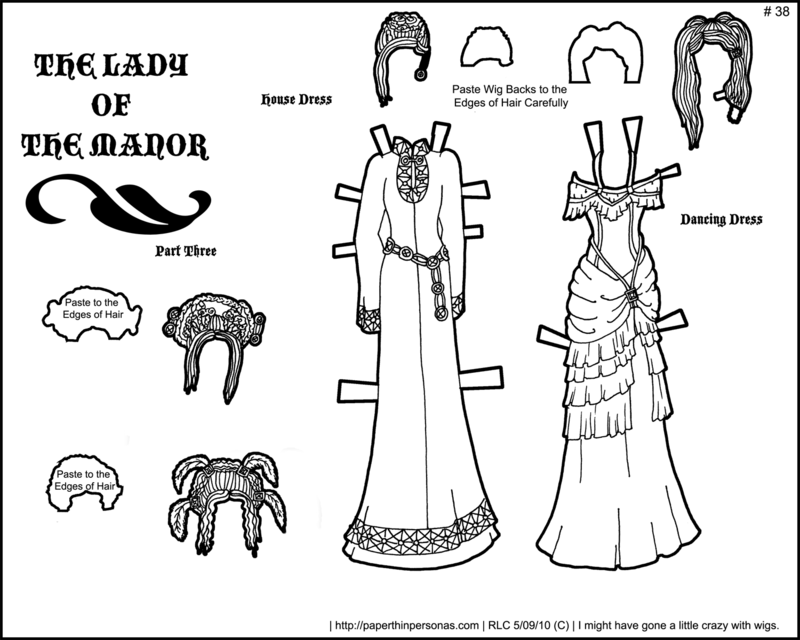 Of course, I read most paper doll blogs religiously even if I am bad about commenting, so I guess I’m easy to please. So, usually I carefully plan out my short run paper dolls. I know how many posts they are going to be. I calculate how much work I’m going to have to do. I do all of these things. But I scanned this doll at nearly 10pm and it was a rush to get her up tonight, so really I have no idea how many posts she’s going to take up, but I like her and hope you’ll like her too. Now, it is past my bedtime and tomorrow the library calls with the siren song of homework to do and readings to finish. Man… Graduate school is hard work sometimes.